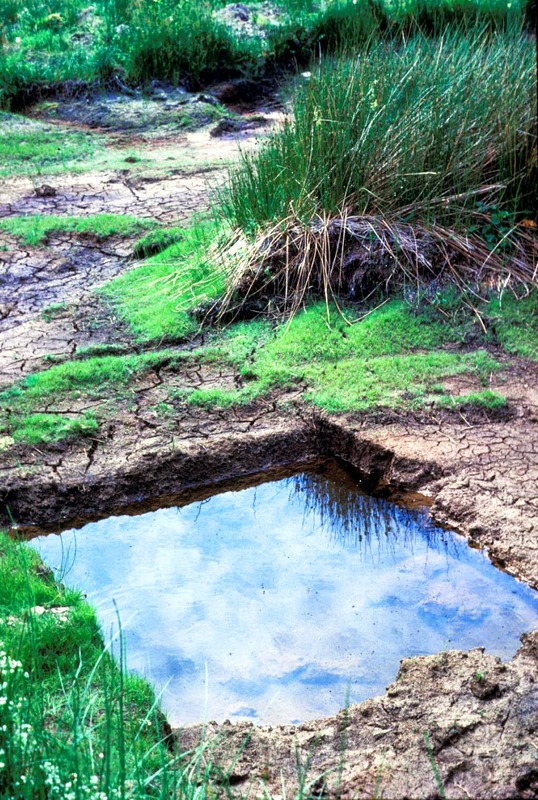 Here are some other examples of the relative simplicity of good pond creation, to follow up the last blog featuring the newish pools dug out on Blakemoor Farm near Cresswell. The pond above is not at all near Cresswell: it is from a Forestry Commission site in the SW Scottish Borders from the late 1990s. This is before the renaissance in pond studies and the spread of improved advice. The Commission was willing to have a go at pond creation. Nothing fancy ofrlarge scale, but successful. 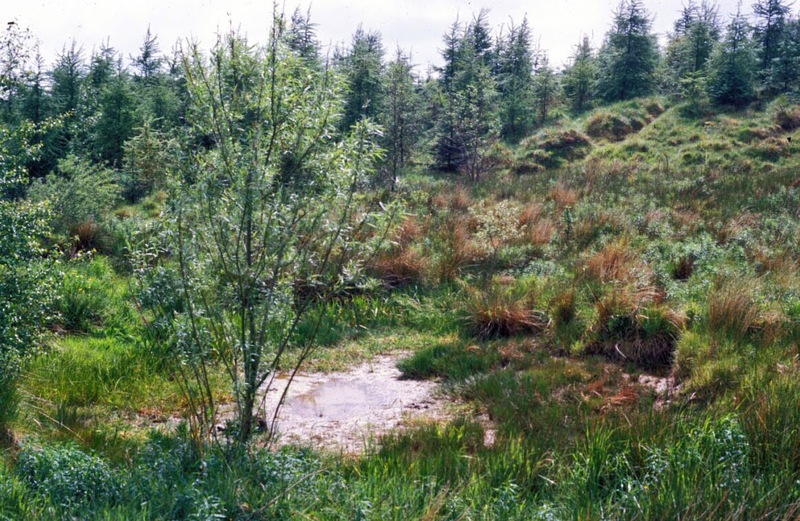 This site is a small corner of a plantation, one of three ponds scrapped out to create a cluster rather than one big, deep, boringly similar site. In high summer this new little pond was close to drying. I have never seen so many Emerald damselflies (Lestes sponsa) as I did that day. The rushes and grasses were a misted by their glittering wings and sparkling bodies. They like sites that dry out, with the females laying eggs in the stems of plants above the water which hatch the following year if water levels have risen sufficiently to submerge the lower parts of the shoots and leaves. At another site the Commission’s staff had simply added a few deeper JCB gouges to another pool. These refuges were full of beetles and waterboatmen, hanging on for when the rains returned, although, knowing water beetles and waterboatment, the rains better not be too long coming or else they’ll all have eaten each other.